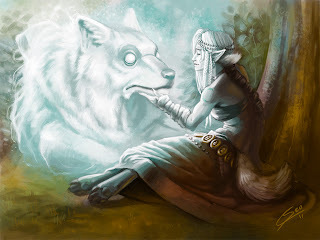 Kand and her companion, White have been together since the girl lost her whole family and tribe. The wolf always protected Kanda. If the troll’s life is in danger, White will try as hard with all his powers to protect her.